We get in a lot of older pets – some come in as strays, some come from owners who have passed on before their loving pets. Whatever the case, these animals have a lot of love to give if someone would just give them the chance. The Brookings Regional Humane Society is offering a second chance to these wonderful pets by reducing their adoption fee for adult cats and dogs. 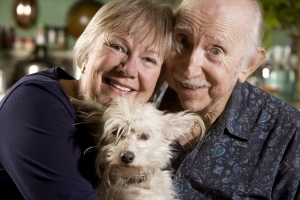 Seniors and veterans adopting senior animals can make a free-will donation to adopt.